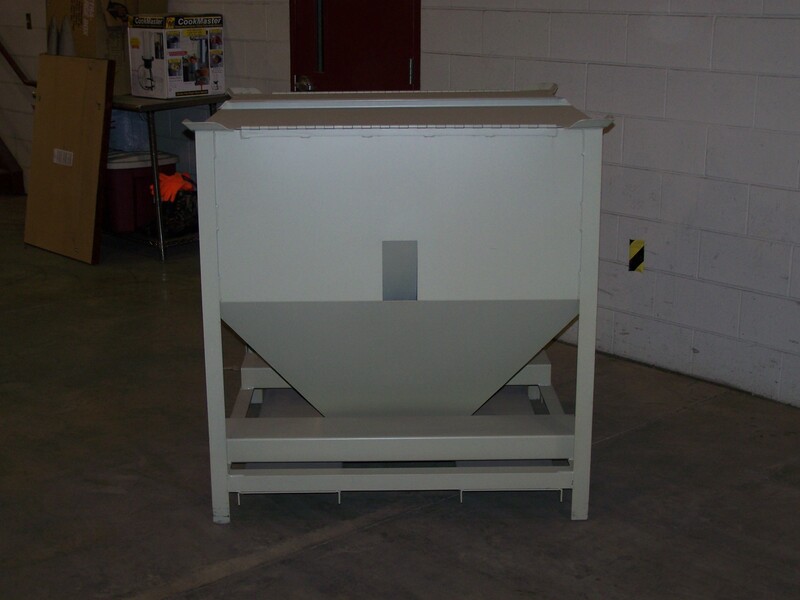 IMCS Portable Material Storage Bins are ideal for storing and transporting both raw materials and finished product. 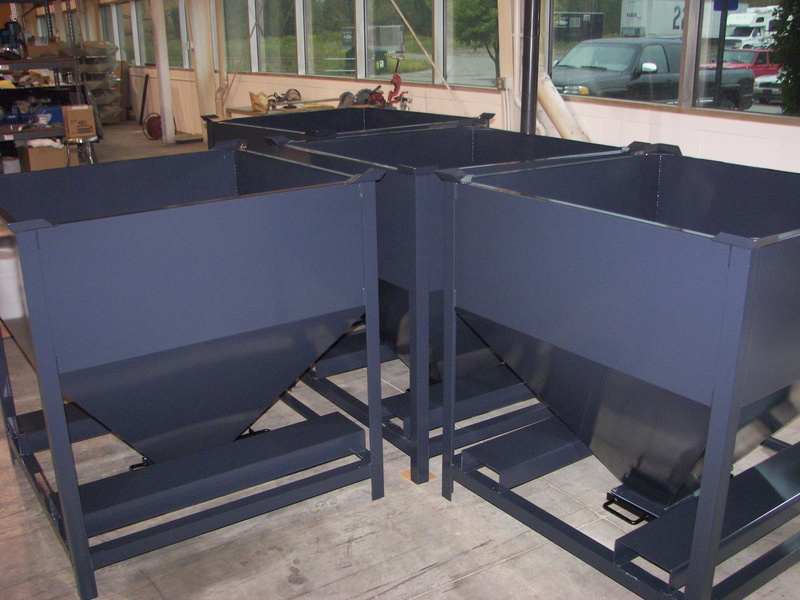 Bins are designed in a variety of standard and custom shapes. 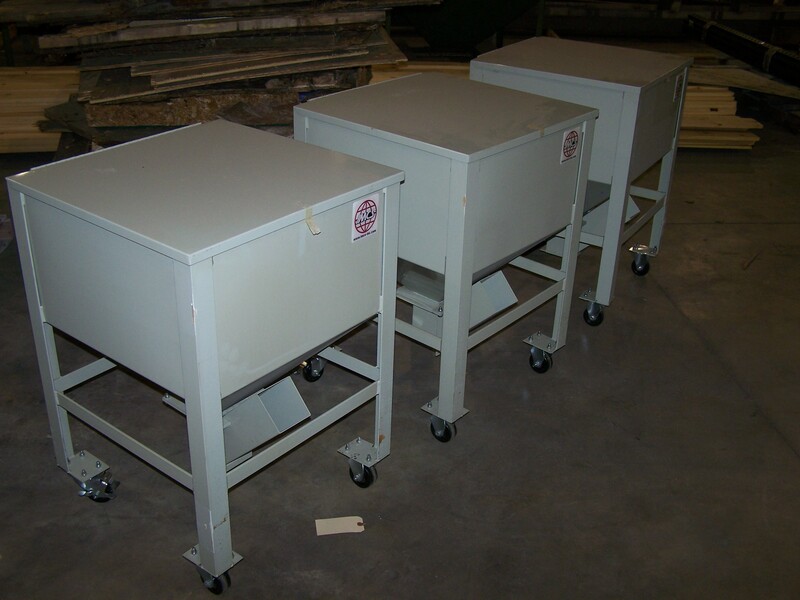 Bins are available in various sizes to maximize and conserve handling time, space and energy. 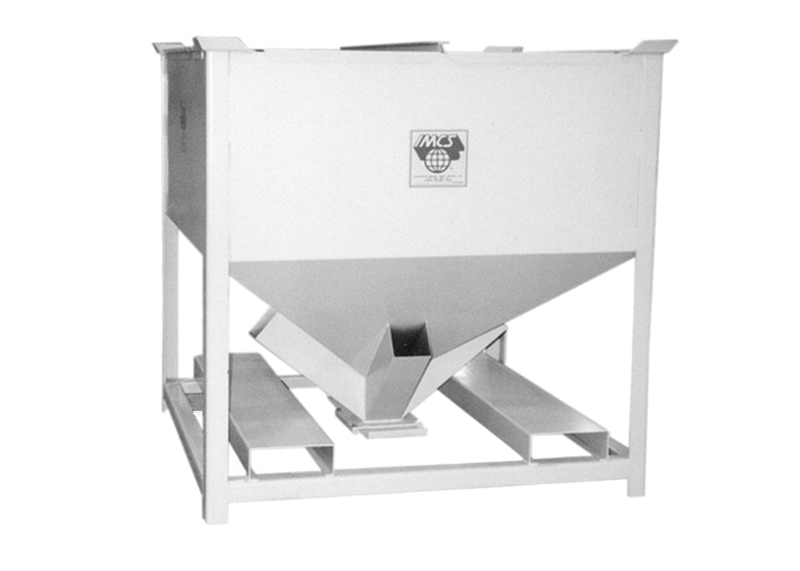 Several components and accessories are available to your specific needs. 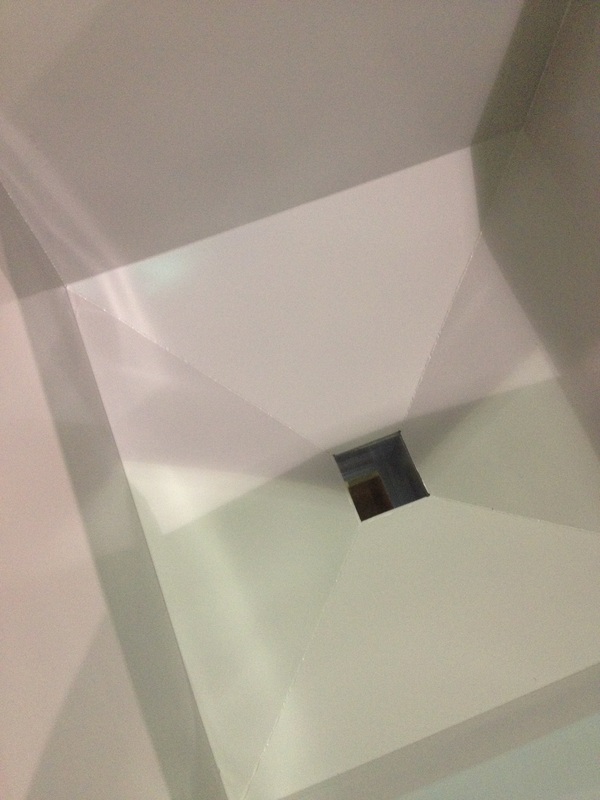 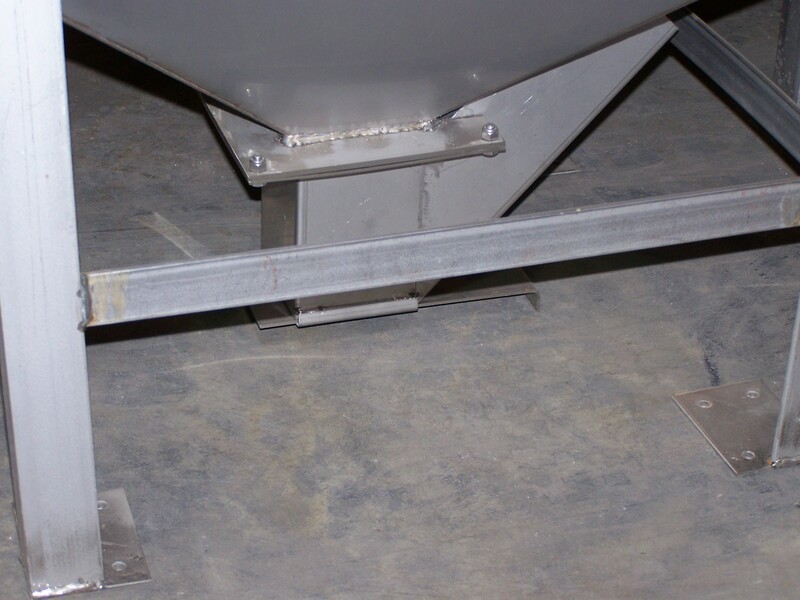 Construction materials include galvanized steel, carbon steel, stainless steel or aluminum. 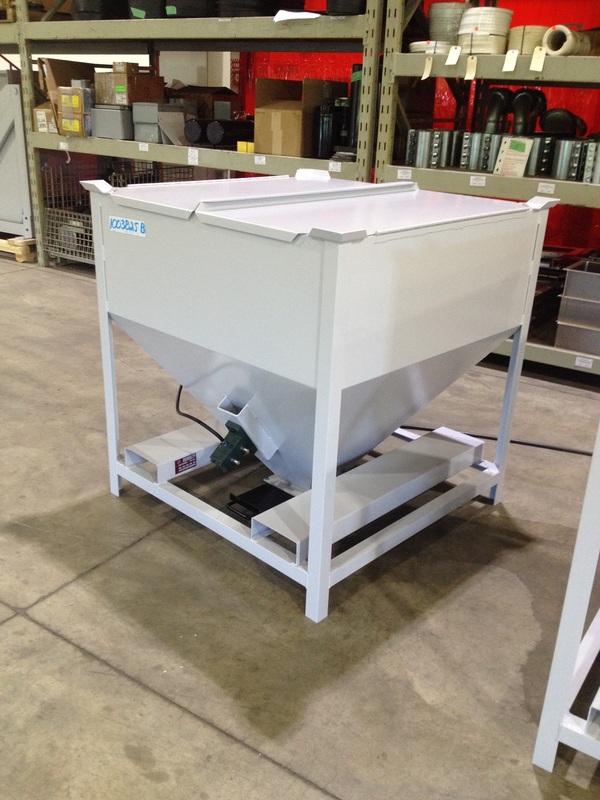 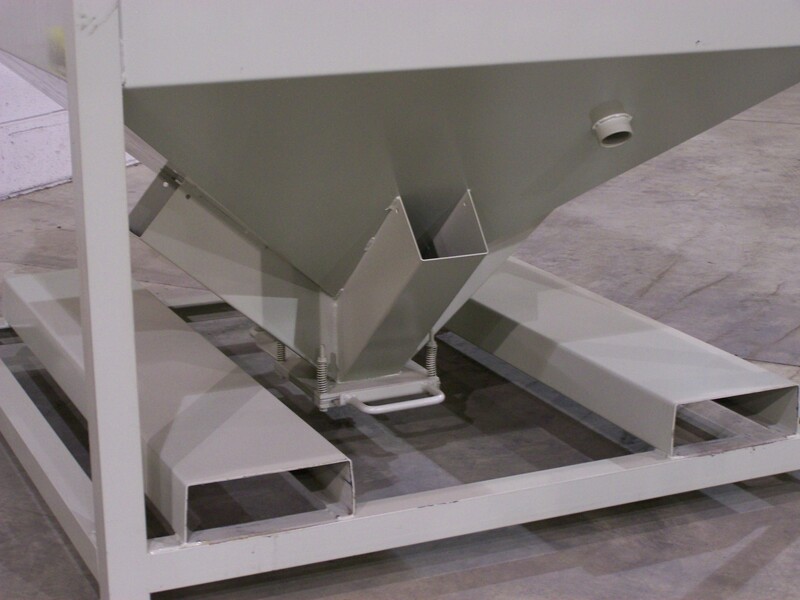 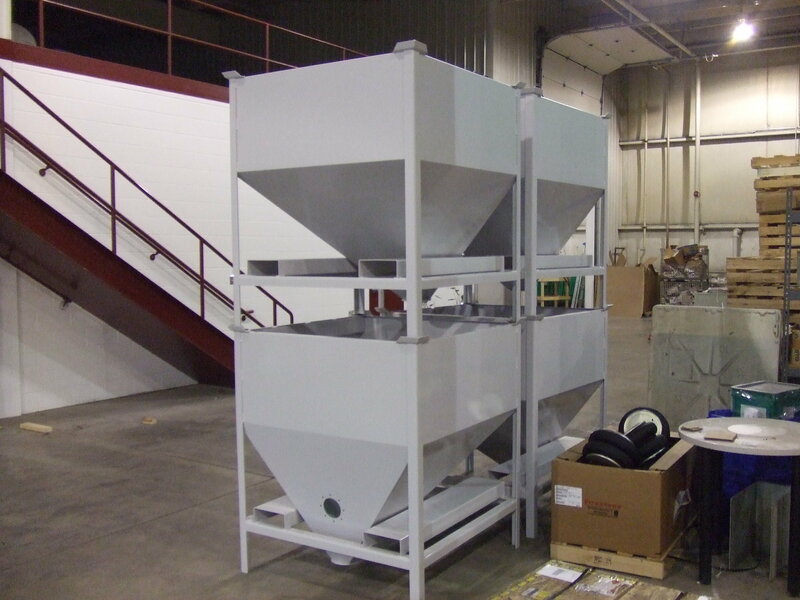 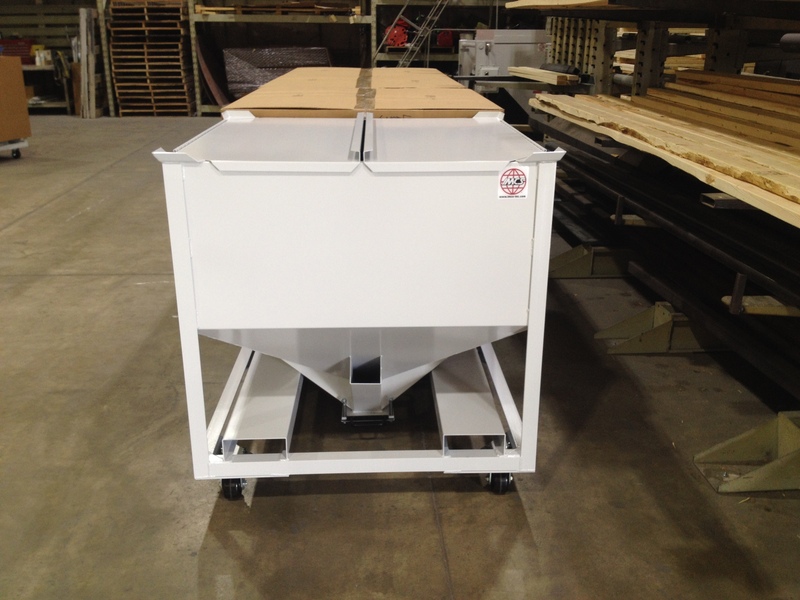 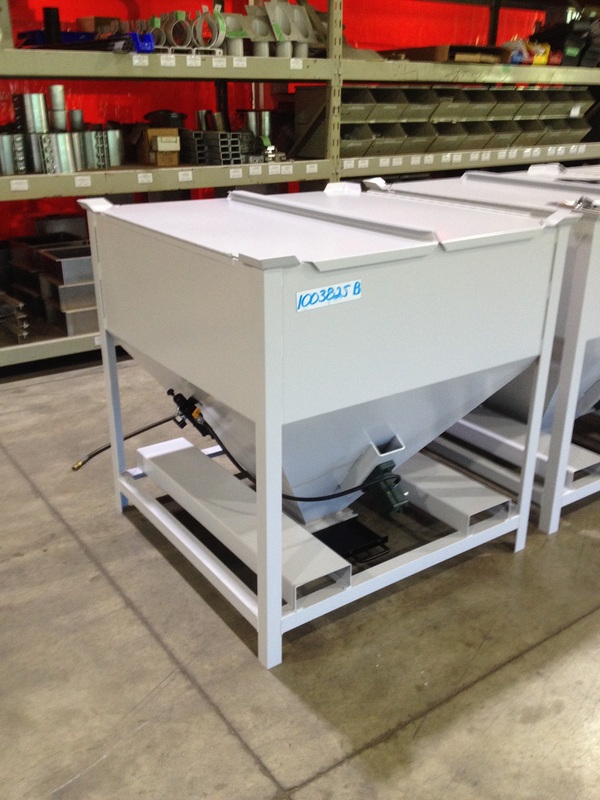 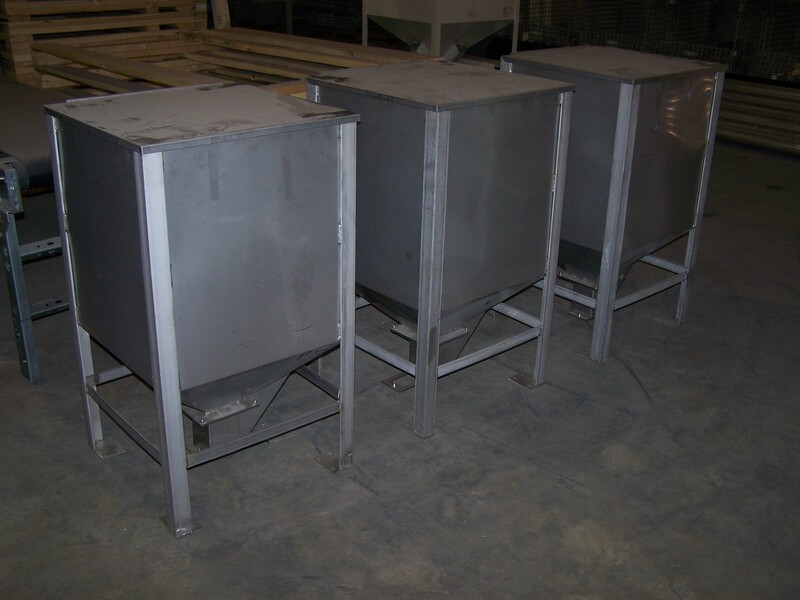 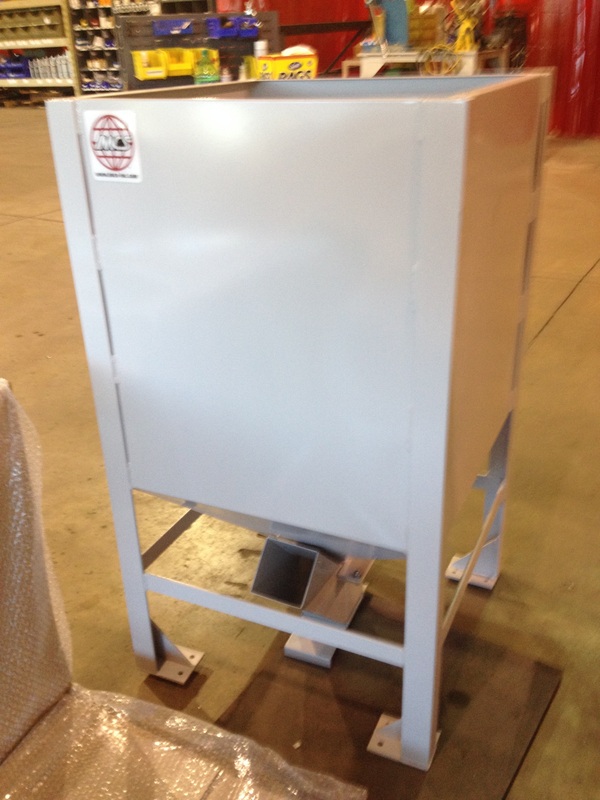 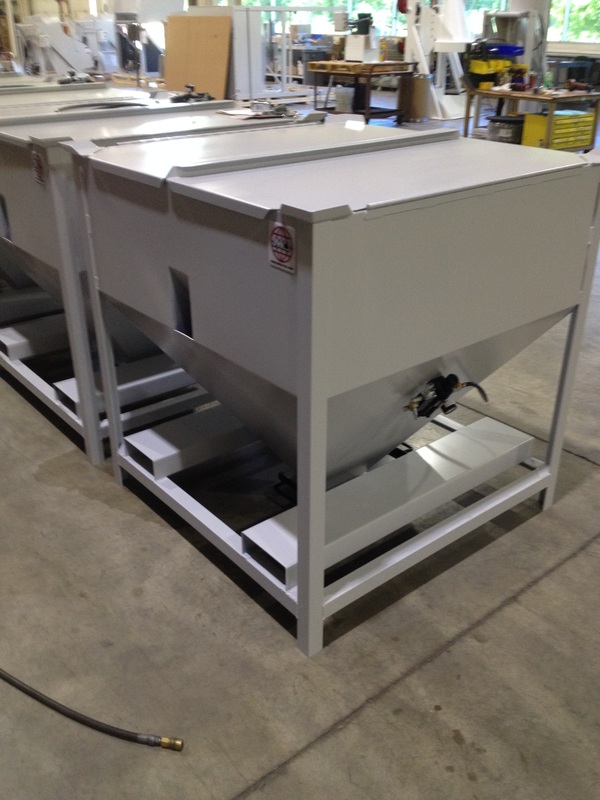 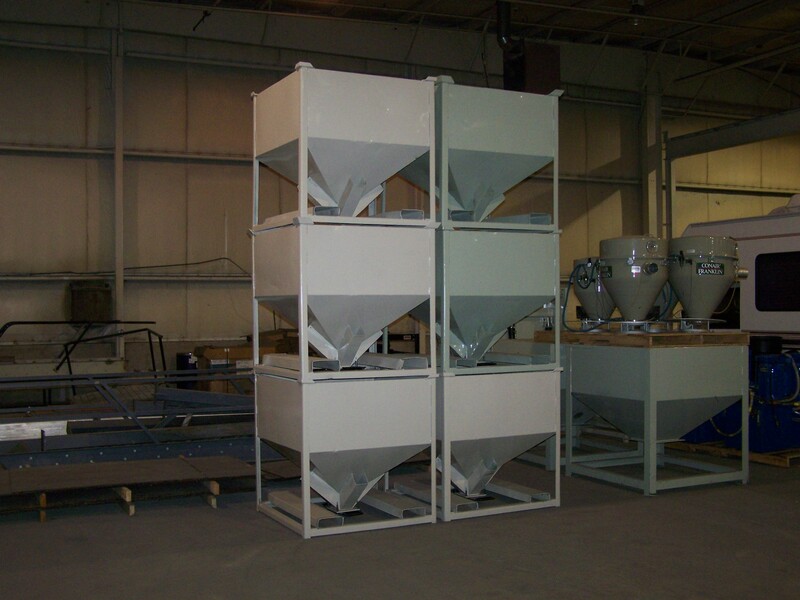 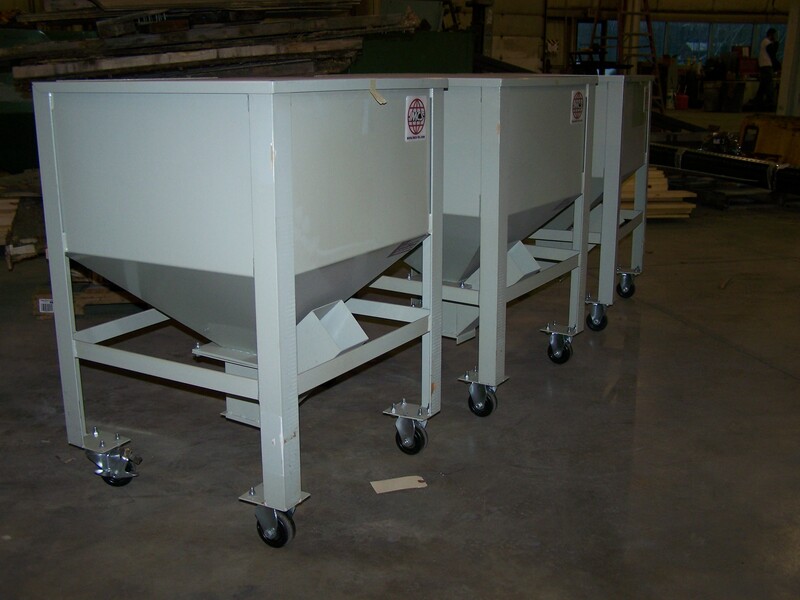 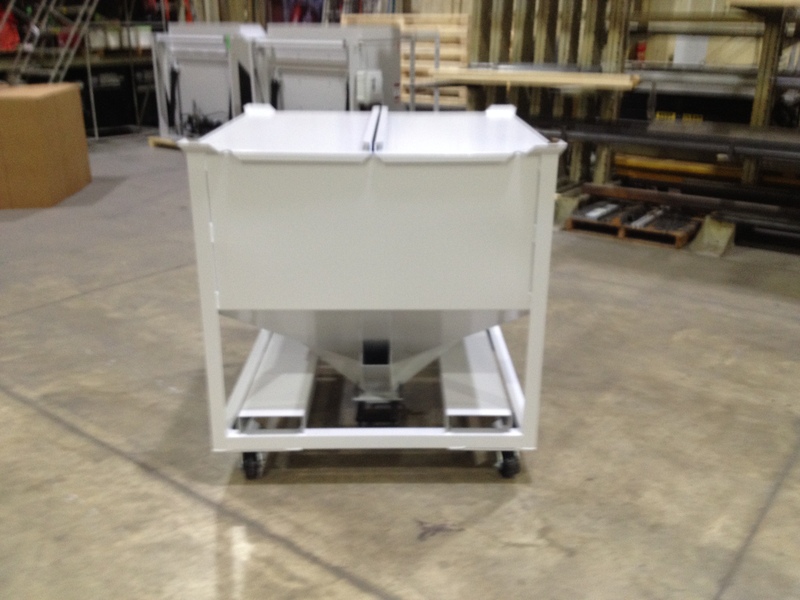 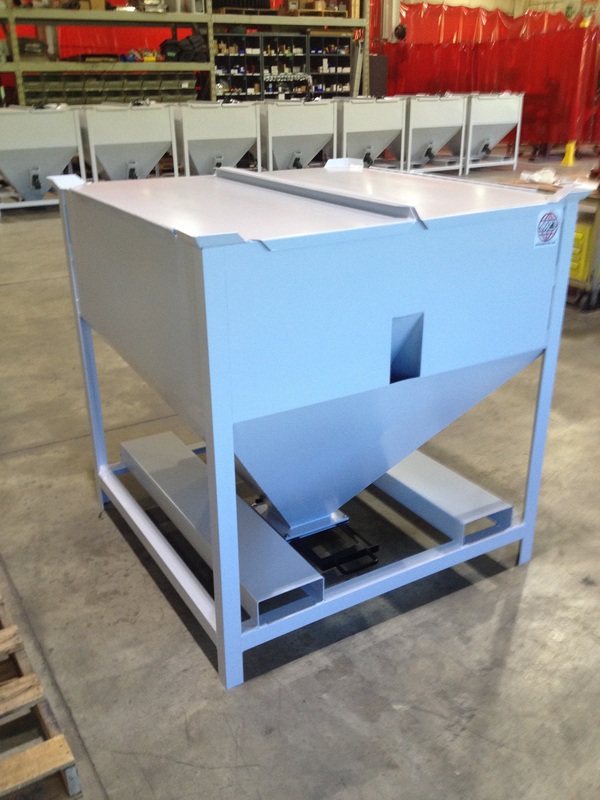 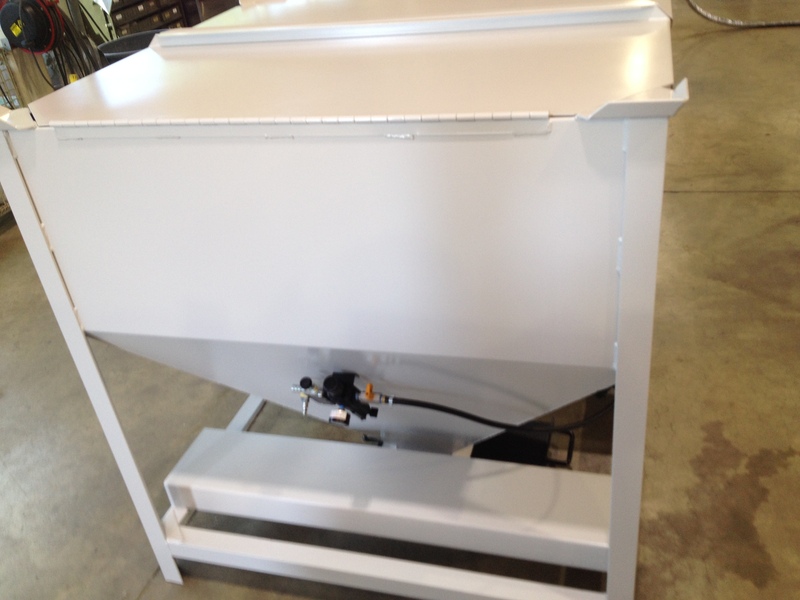 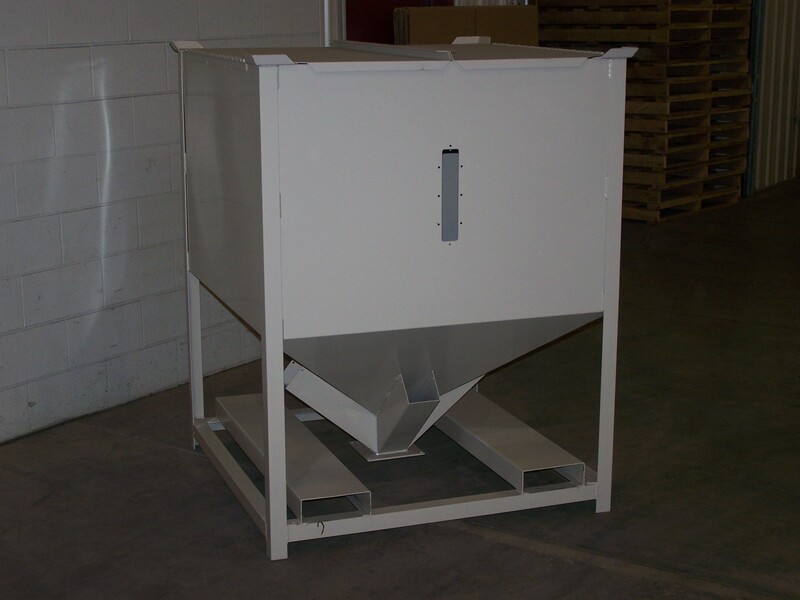 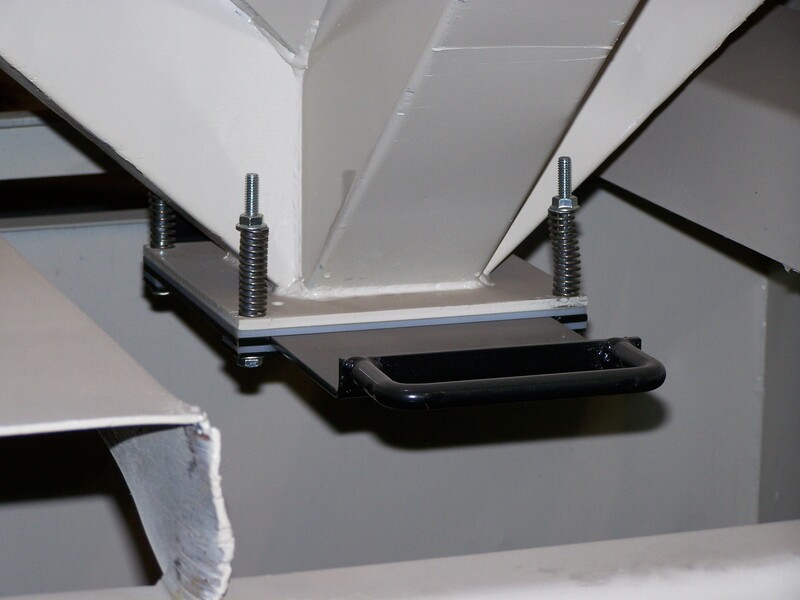 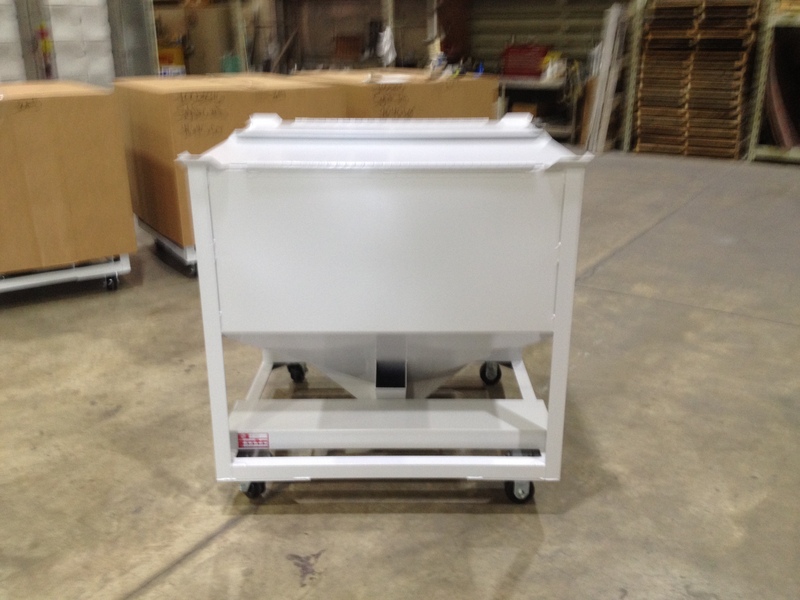 Specialty agitator bins are designed to enable the difficult-to-flow material to be moved effectively.